With my new iPhone I have been able to acquire the Rosary App pictured above. It is free and I chose it over other Rosary apps because supposedly it has Latin prayers on it. I have not yet explored the Latin prayers, though. I am taking it on faith they are there. For now I have been using the app to pray the rosary in plain old English, mostly at the gym. It has these two women reciting the Rosary. There are no men on the Rosary App! These women, you have to love the sound of their voices. They appear to be English or Irish or Scottish, it is hard to tell. One answers the other. They sound like sleepwalkers. 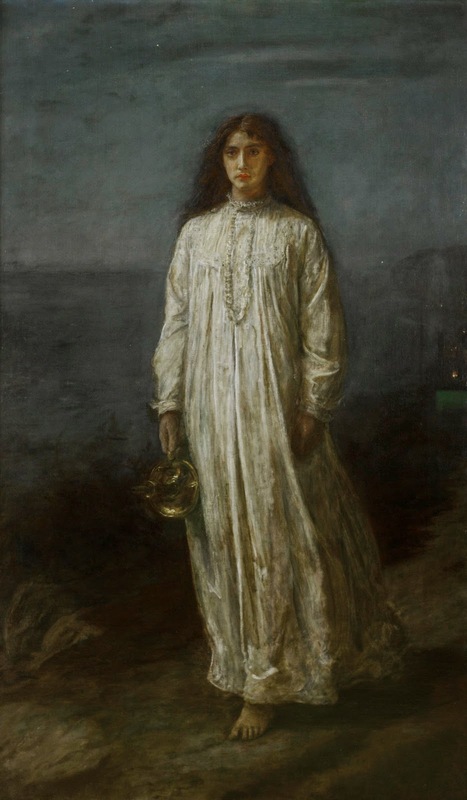 I keep picturing "The Somnambulist," by John Everett Millais. Or two Celtic women sitting in a castle somewhere. Because of this atmosphere, this app gives you a neat experience in the middle of the day, in the middle of the noisy gym or the hectic kitchen or whatever. You suddenly feel like this. Why didn't they use this picture, you know, instead of the kitschy picture they put on the app, the one at the top of the post? Oh well. The app is not perfect but it is a kick and it gets the job done. 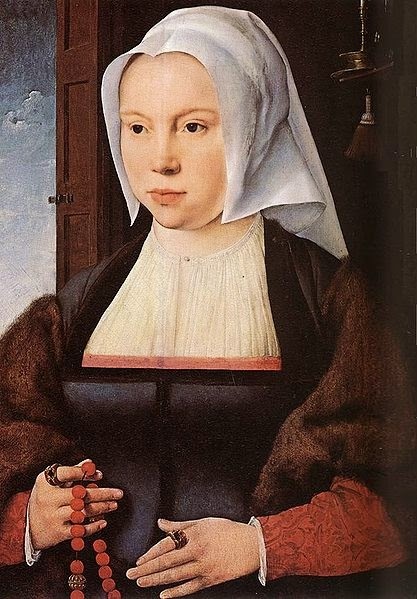 I am required to get in a rosary daily due to a strange and medieval set of circumstances I will have to explain another day. These two sleepwalking women really help with that. Could I please have apps to help me get done other things I have to do every day? An app mayhap to help me clean the kitchen? iClean. Or an app to help me edit chapters of my book? iPennario. I will say my prayers! 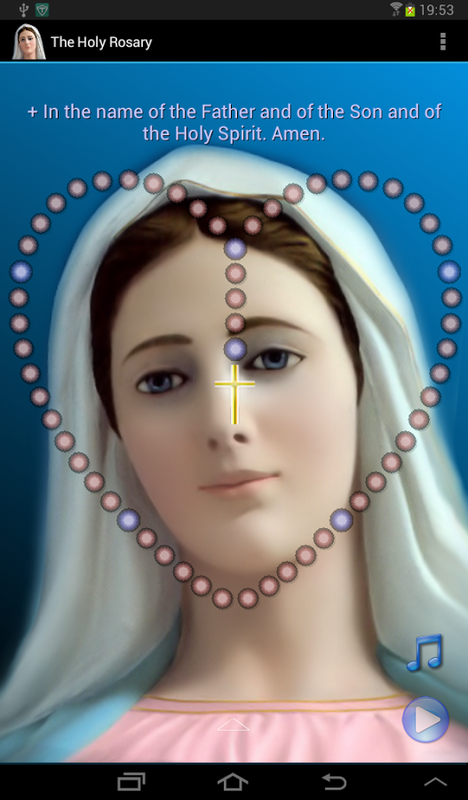 I had a created Rosary Guide an Android app. Chris, thanks!! I will have to take your Rosary App for a test ride. That is great you created it and thanks for letting me know!